UK prime minister Theresa May has pledged £400 million to remove and replace dangerous cladding on social-housing blocks, one year after the Grenfell Tower fire. May made the pledge during Prime Minister's Question Time, when quizzed by Conservative MP Bob Blackman on how the government planned to make towers across the UK safe, following the fatal fire in west London. "I can today confirm that the government will fully fund the removal and replacement of dangerous cladding by councils and housing associations, estimated at £400 million," said May. 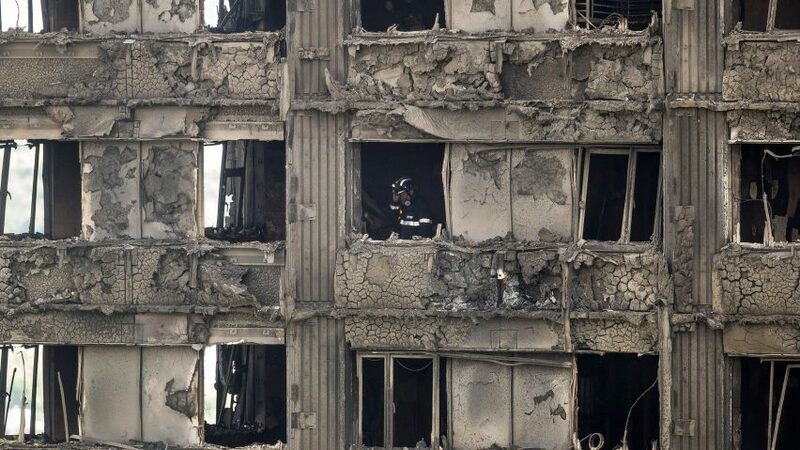 Residents of towers across the UK have previously been left in fear of being forced to pay for the removal and replacement of cladding themselves. May said that the new housing secretary James Brokenshire – the successor to Sajid Javid – would give more details on the plan later in the week. She added that local councils and housing associations must move "quickly" to remove dangerous cladding, but that the cost of vital works "must not undermine their ability to do important maintenance and repair work". A report leaked to the Evening Standard last month revealed that flammable cladding, among other "deficiencies" introduced during renovation works at the council-owned Grenfell Tower in west London, contributed to the rapid spread of the deadly fire last June. The 71 deaths could have been avoided, concluded the report. Residents had approved fire-resistant zinc cladding proposed by Studio E Architetcs, but Kensington and Chelsea tenant management organisation and refurbisher Rydon swapped the panels for cheaper aluminium ones in order to save £293,368, the Guardian reported at the time. Following the Grenfell Tower tragedy, cladding was tested on tower blocks across the UK. Although in January 2018, then housing secretary Javid admitted that only three of the 299 towers that failed the fire-safety tests had since been given new cladding. There has still been no legislation from the government regarding private tower blocks found to have dangerous cladding, although it has urged building owners not to pass on costs to homeowners and tenants. Last month Barratt Homes, which built the Citiscape block in Croydon, promised to cover the estimated £2 million needed to make the building safe. Residents had been left in fear of being forced to cover the costs themselves, after the private owners refused to pay.